Once upon a time, I used to love reading on the toilet. Not great literature. Closer magazine (Heat’s cheap little sister – it’s 50p less, you know) made great bathroom reading. If I wasn’t lucky enough to have Kim Kardashian’s air-brushed arse report to hand, I’d read a book (remember them?) and sometimes even the back of shampoo bottles (nourish your hair with luxurious natural ingredients and experience breathtaking softness and shine …). These days, the bathroom is no longer a sanctuary. No matter what I’m doing, the kids want to do it with me. Even in the ‘stinkiest room in the house’. Our mechanically-minded toddler tore the bathroom lock apart long ago, so now the toilet is a free zone. Join me one and all while I go about my toilet business. I never thought I’d be bothered by lack of privacy. After all, I spent my twenties weeing in all sorts of public places – behind trees at festivals, by roadsides on the way to festivals, alleyways on drunken night’s out, and on one memorable occasion, in the middle of a field, just as a passing police car shone a giant spotlight on in my direction. During my morning-sickness pregnancy, I demanded my partner ‘keep me company’ in the bathroom while I threw up (it can be a lonely business …). But it turns out, there are some things I like to do alone. When I’m wincing and gripping the toilet seat (thanks to the haemorrhoids those wretched kids gave me), I don’t want to be cross-examined about the stripes in toothpaste. Occasionally, a suppository is in order (thanks to the haemorrhoids those WRETCHED kids gave me). This is the sort of thing I’d rather do alone. Those vaginal toning weights that are supposed to stop me wetting myself? I want to mull over which weight I’ll need today (I currently bench a 5g. My vaginal powers are weak …) and insert it without anyone watching. Remember those pre-kid days? When you could be as disgusting, unhealthy and morally reprehensible as you liked without anyone watching? Caramel latte AND a slice of chocolate fudge cake twenty minutes before lunch? Suuure! Who’s judging? Pop tart? Oh go ahead. I know one day my kids will grow up, and I’ll look back, misty eyed, to the glorious ‘shower abuse’ ‘toilet intrusion’ days. And I should count my blessings, blah, blah, blah. 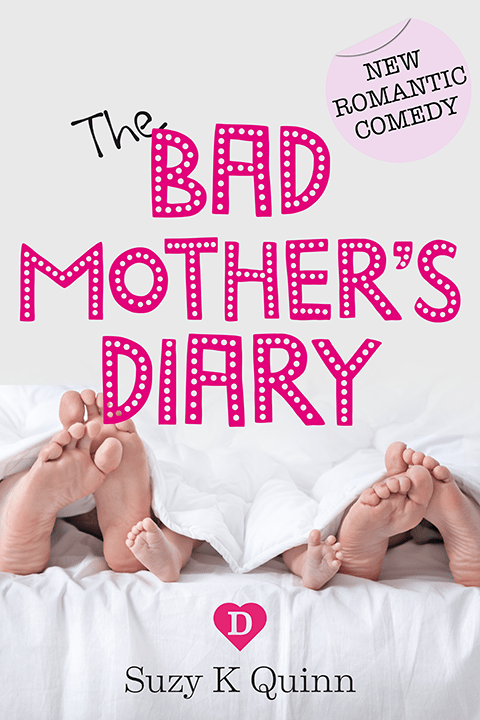 Suzy K Quinn is the author of new motherhood fiction, the Bad Mother’s Diary. every 30 days. Will you get 50% off today?